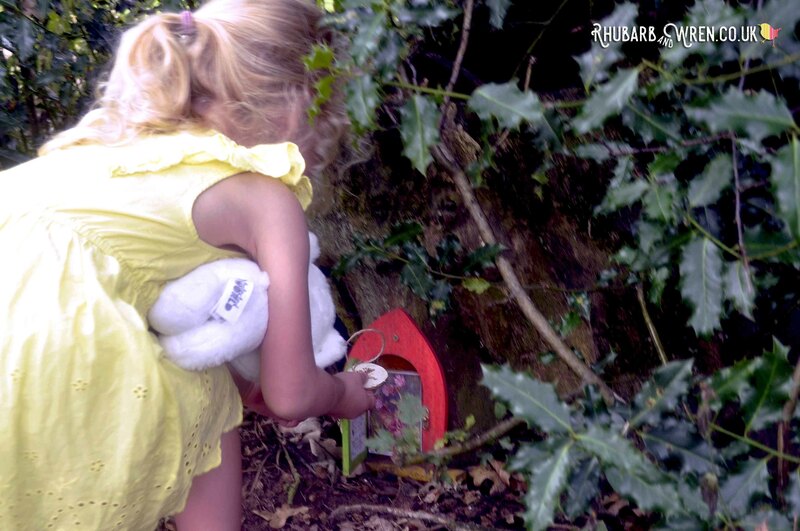 How to plan the best kids treasure hunt ever! A kids treasure hunt is a great activity for mixed age groups, as even little ones can get involved. But if you’ve ever been on a hunt where a few bolder and quicker kids scoop up all the loot, leaving the rest trailing behind in tears, then you’ll know that there’s a trick or two involved in keeping things fair and fun for everyone. Want to know the secret? Read on to find out! 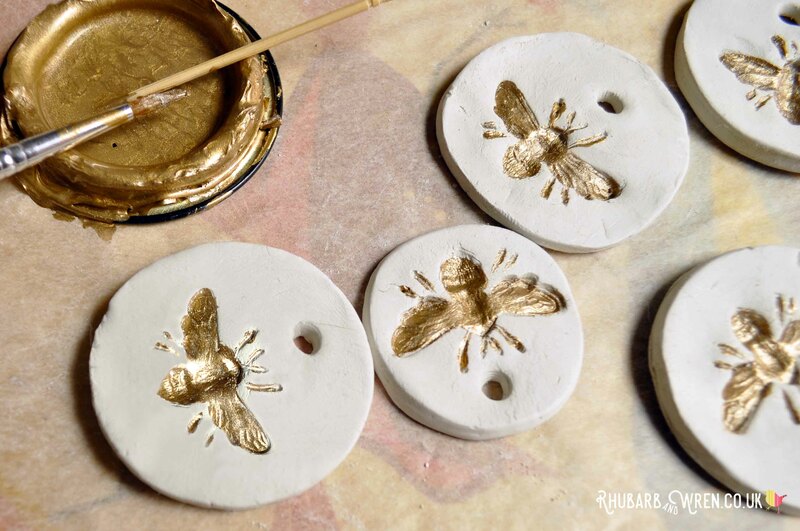 How to make simple but bee-utiful bee pendants from air dry clay! Not got much time? Or do you just want the bullet points on how to plan a collaborative, mixed-ages kids treasure hunt ? Click here for the Quick Read. 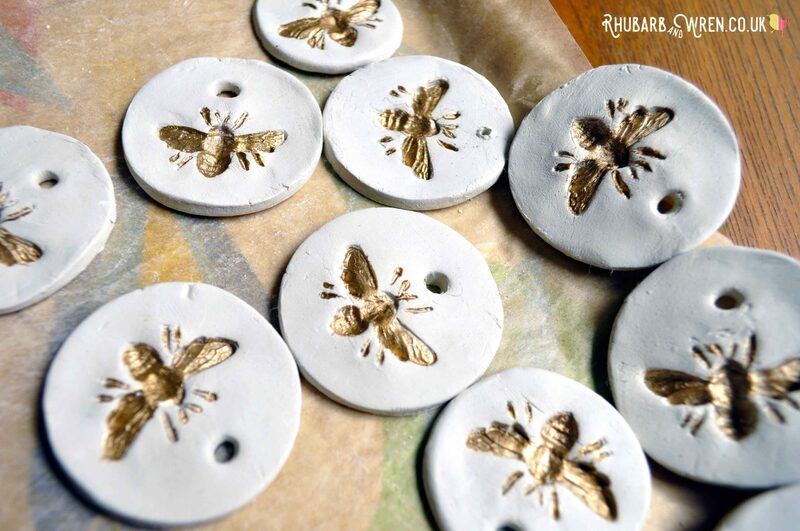 If it’s the bees you love, check out my quick and easy tutorial to see how to make your own. 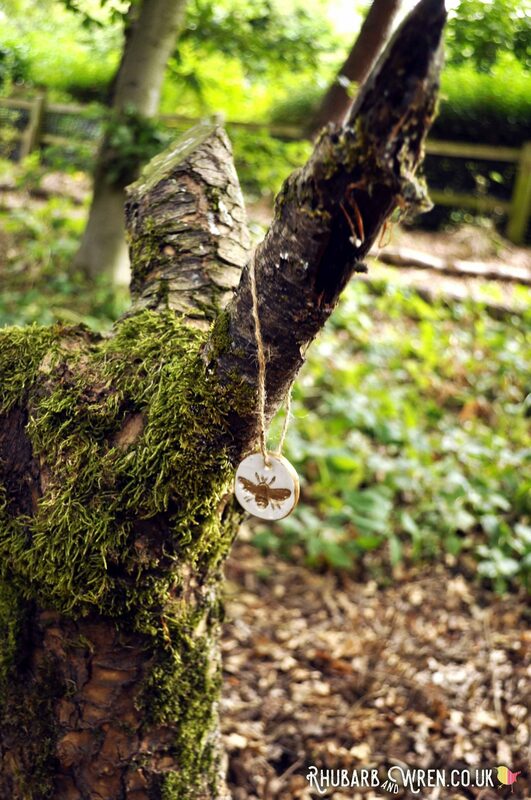 Want to see the pictures and get all the details on our amazing, tear-free treasure hunt? Read on! 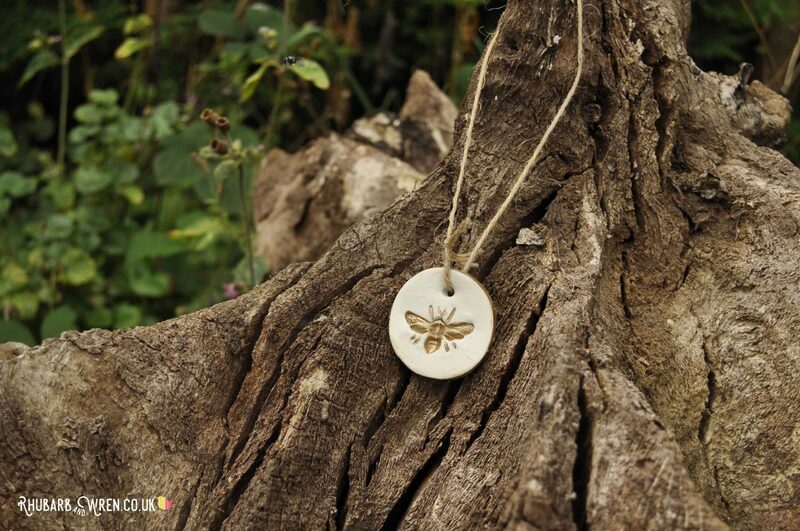 These homemade golden bee pendants made the perfect treasure for our hunt! We went camping (or rather, glamping!) recently with a group of friends and all our kids, staying at Amber’s Bell Tents in Norfolk. As there were a dozen kids to keep busy, I prepared a few activities before we went, so that us grown-ups could kick back by the campfire while they played. Or at least that was our hope! The kids loved this treasure hunt with a twist; it was definitely one of the most popular activities we did with them. 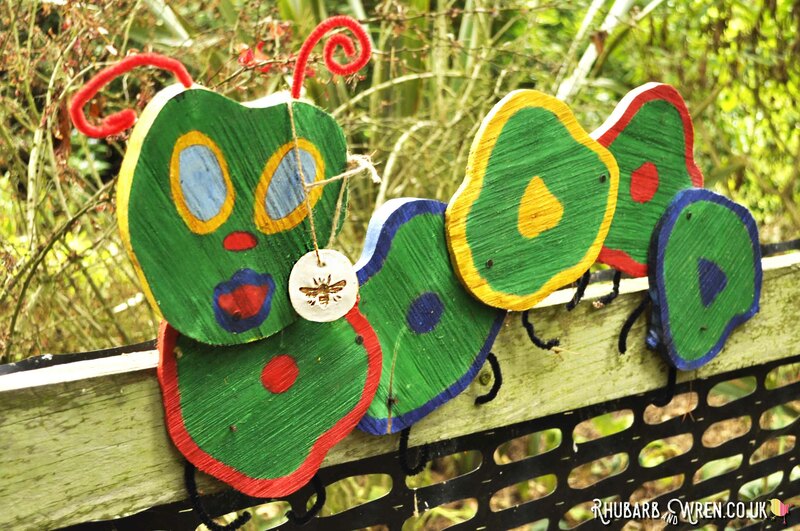 ‘Rescuing’ these golden bees gave the kids a story to play with, as well as treasure to hunt! 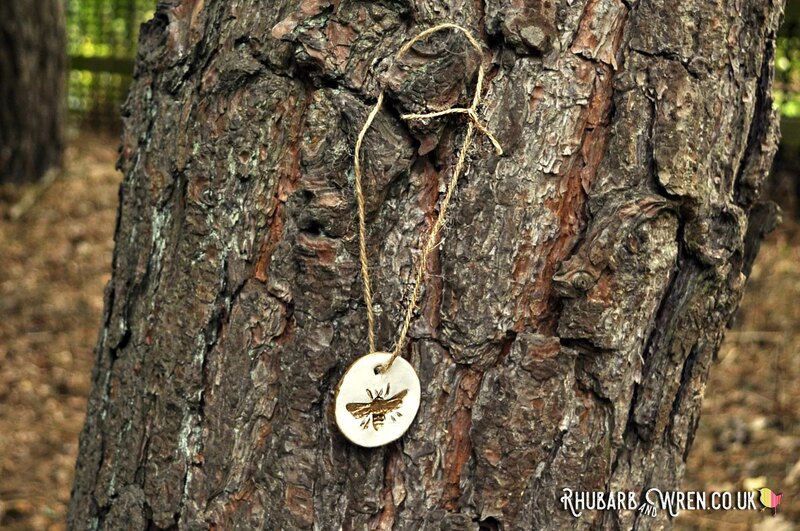 Instead of hunting for treasure to collect individually, The kids had to work together to retrieve a swarm of golden bee pendants hidden in the woods. This meant that, unlike a more traditional hunt, our kids treasure hunt was all about working together. And I have to say it was a BIG hit! It’s not easy to find something that children of different ages will all enjoy but this one definitely did the job. Gnarly bark makes the perfect peg for little bees! We’re going on a Bee Hunt! Having made the bees before the holiday, all we had to do when we arrived was to hide them for the kids to find. So, sneaking away while the kids played, my friend Melanie and I snuck off into the woods to set up the kids treasure hunt. 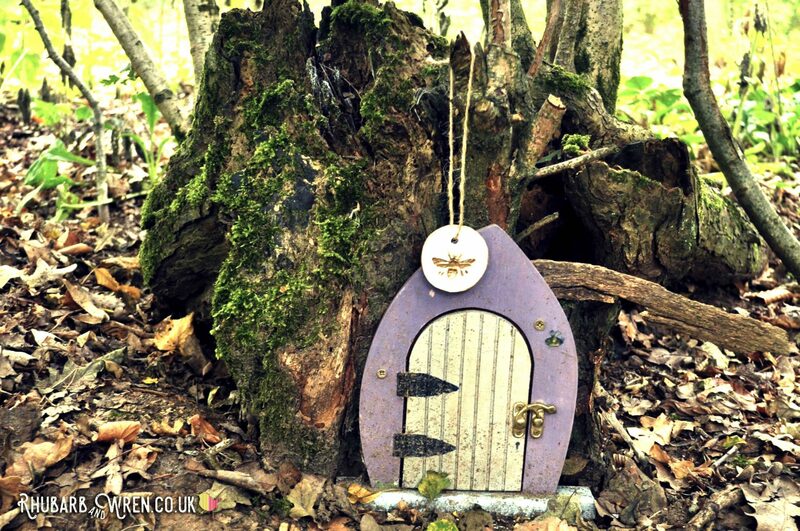 And in a bit of completely jammy luck, just a few steps away we stumbled across a fairy garden, hidden amongst the oak trees in the grounds of Mannington Hall, Norfolk, where we were camping. 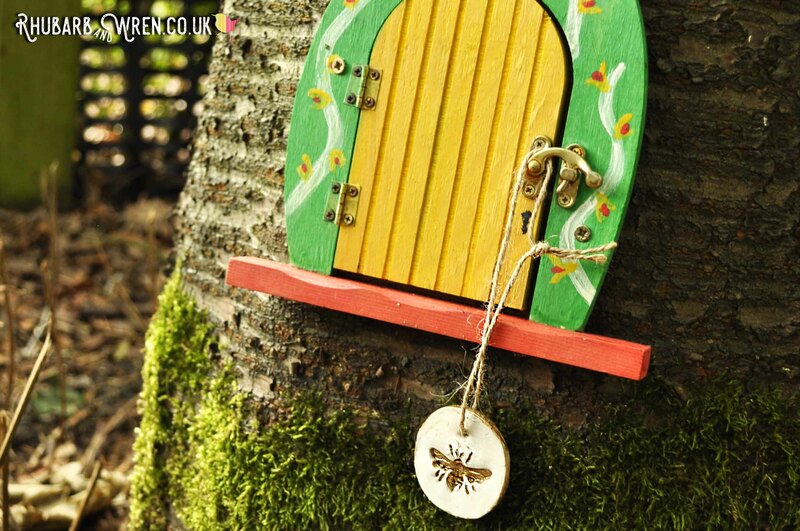 The fairy garden at Mannington Hall in Norfolk is full of little doors for the kids to find. With winding paths leading off in all directions, this was the perfect place for a kids treasure hunt. 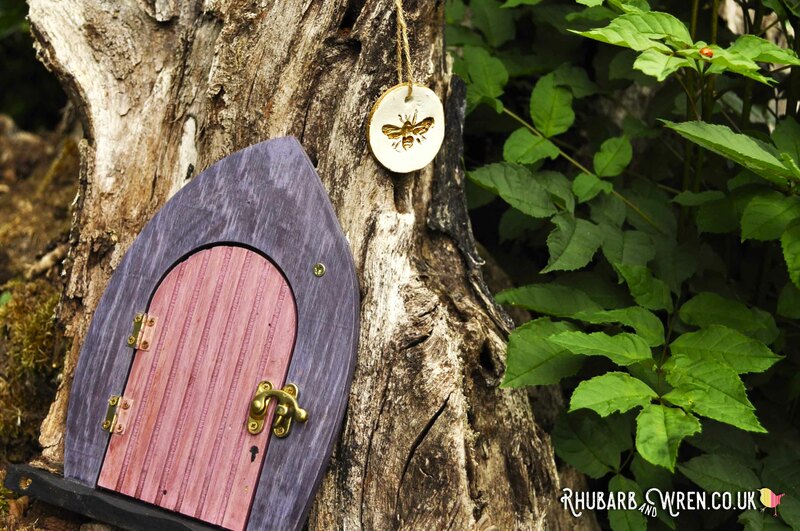 Lots of hidden nooks, gnarly tree-stumps, mossy logs, fairy doors, and craggy oaks galore. The fairy garden was absolutely perfect for our gang of little ones to hunt through, especially as there were also hardly any stingy nettles or brambles. It was just the right size too – contained but plenty big enough for the kids to be able to spread out while they searched. You don’t want them all looking in the same place at once! This caterpillar kindly looked after one of our bees for us! The perfect location for the kids treasure hunt found, we hid our bees and then counted them up. Yes, would have been much easier if we’d counted them first – we were a little giddy with euphoria at being child-free for a few moments! But once finally hidden and counted, we took a quick look around and moved a few that were too close together, or too easy to spot. And we also made sure that we had hidden the bees at different levels – some low down to the ground, some hanging at arms’ reach, and one or two higher up (where grown-up help or a bit of climbing might be needed). There is a temptation with a treasure hunt for pre-schoolers and primary school age kids to make it easy for them. But trust me – you want the hunt hard enough to keep them looking, yet not so hard they’ll never find them! So don’t be too obvious. Our kids happily searched through bushes and trees, peering into dark corners or behind rocks to look for their treasure. The older kids, especially, appreciated a difficult find. Just remember where the treasure is hidden, though, in case they get stuck! A few easy finds will get the kids hungry to find more! 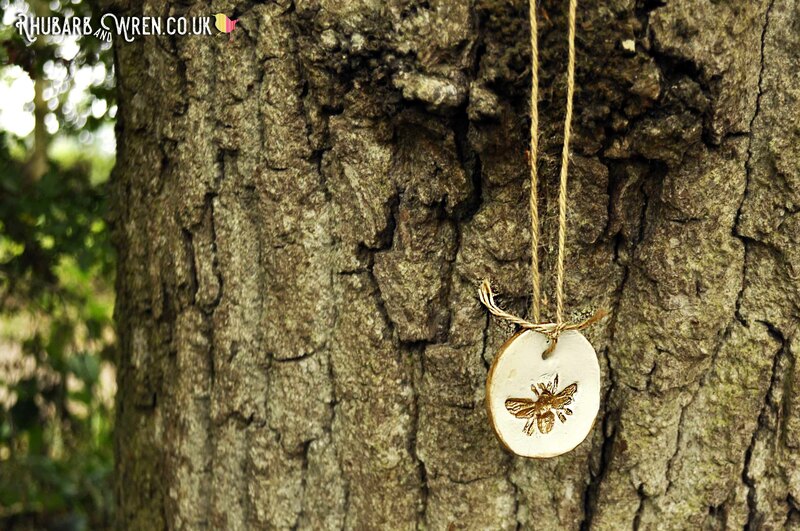 Once the bee pendants were all well hidden, we gathered the kids and told them that a swarm of golden bees had got lost in the woods. The Queen Bee needed their help to get them all back to the Tree Hive that stood before them. 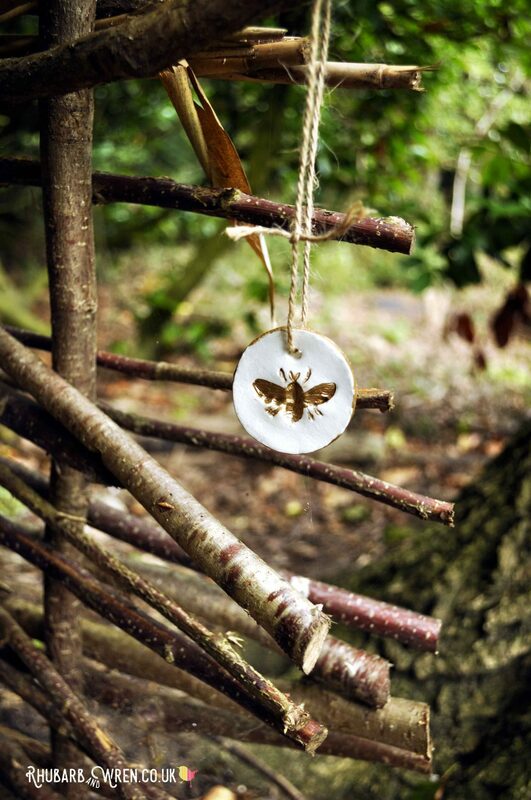 Leaving the clay unpainted (except for the gold bees) gave them a natural look that fitted perfectly with our woodland setting. We gave each child an extra bee and told them that it would help guide them on the treasure hunt. The kids therefore knew exactly what they were looking for – no coming back with random objects! And, bonus, it also made it look like the handful of pendants I’d made without holes were all part of the plan, rather than just me underestimating how quickly the clay would harden before I put holes in them. Ahem. We also showed all the kids the boundaries of the search area before we let them loose on their treasure hunt. This way all the children knew exactly where they could and couldn’t go. And by starting our hunt in the middle of this large, contained, area, the kids could spread out to explore. This in turn helped make sure all the kids found a pendant or two in the treasure hunt, as they were searching in different places. The Tree Hive was just a small tree that was conveniently in the middle of our search area. As soon as they found a bee, the kids would come straight back to hang it on the Tree Hive. The tree we chose for the job had low branches and no thorns or prickles, so it was perfect for the job. The kids could all reach easily to hang their pendants up without help. Hanging up the bees on the Tree Hive! Returning back to the Tree Hive each time they found a bee slowed down the faster treasure hunters. This meant the hunt lasted longer and gave all the kids plenty of chances to find a bee. We also kept a few extra bees in our pockets, just in case. These extras could be sneaked out onto a branch in easy view of any kids that were struggling to find one. And our cunning plan worked! All the kids found at least a couple of bees that they could proudly return to the Tree Hive. It took a decent amount of time to do the hunt, and eventually our tree was looking pretty full. We gathered the kids again, and counted up our finds. It was a sign of how much fun the kids were having that they gleefully continued the hunt until all the missing bees had been rounded up. Seeing the kids working together rather than in competition was great. We had no tears or issues around one child collecting loads while others had only one or two. The children shared the pendants to take home and keep at the end of the treasure hunt, so everyone was happy. Because you can’t have a kids treasure hunt without loot! All sorts of treasure for all sorts of treasure hunts! Get the kids hunting stolen gold doubloons to fill a pirate treasure chest, perhaps. Or how about finding missing dragon eggs before they hatch? You could hide ingredients to gather and then cook together for a communal meal. Or add disgusting stuff to a witch’s cauldron spell. Mini-engineers could assemble parts of a robot or a space ship. The possibilities are endless! I guarantee this activity can fit in with any theme you can think of. So what will your kids find? 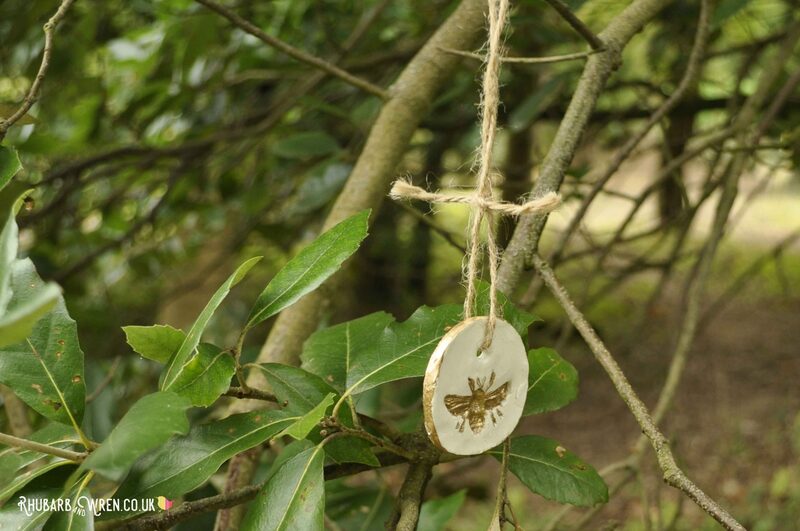 Want to know how I made these bee pendants for this kids treasure hunt? 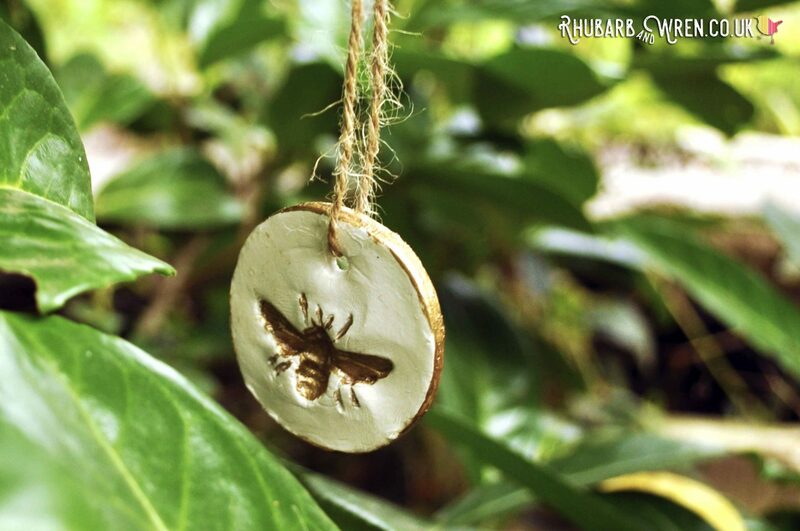 Check out my quick and easy air dry clay pendant tutorial for all the details. Looking for fun things to do with the kids? Take a look at these great activities. 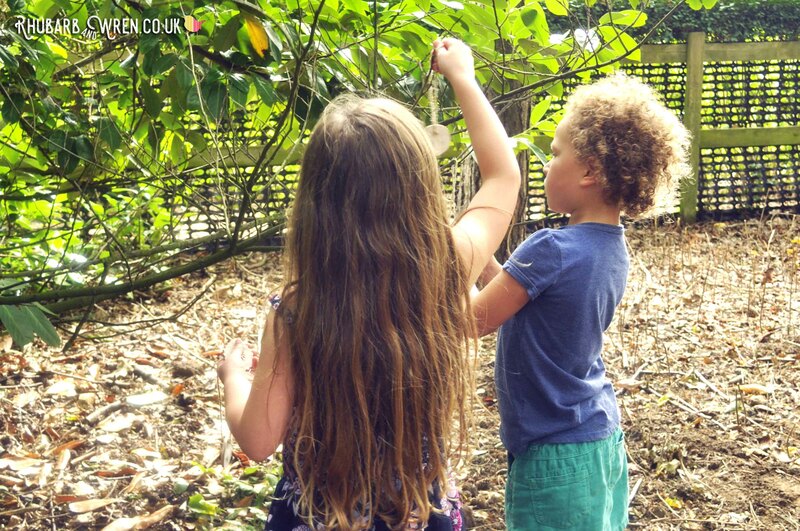 How to plan a collaborative Kids Treasure Hunt – the Quick Read! If you’d like to recreate or adapt our treasure hunt for your kids, this list is a quick summary of the main ideas. ● Have each piece of ‘treasure’ returned to a central collection point as soon as it is found. This slows down the children who are quicker at searching, giving other children the opportunity to make a find. ● Having an area that the children can spread out and search is best. If the treasure hunt is done along a trail, there’s often nothing left for the children at the back. ● Make sure the children are clear on the search area boundaries before you let the loose. ● Don’t make the hiding places too easy. Instead, keep a few extra ‘treasures’ to sneak out and put near children who are struggling. ● Vary the heights and positions of the hiding places, and don’t put all the treasure in plain view. Many children love the challenge of having to really search hard! ● Have a reward that is shared equally among the kids at the end of the hunt. Our kids got to keep a couple of the bees each once all of them had been found. A few easy finds in a treasure hunt will get the kids hungry to find more! Co-operative Play, Garden Play, Learning Through Play, Party Time, Preschool Activities, Where the Wild Kids Are. Bookmark. Absolutely – and they make cute necklaces too! Those golden bees are gorgeous. What a great idea! 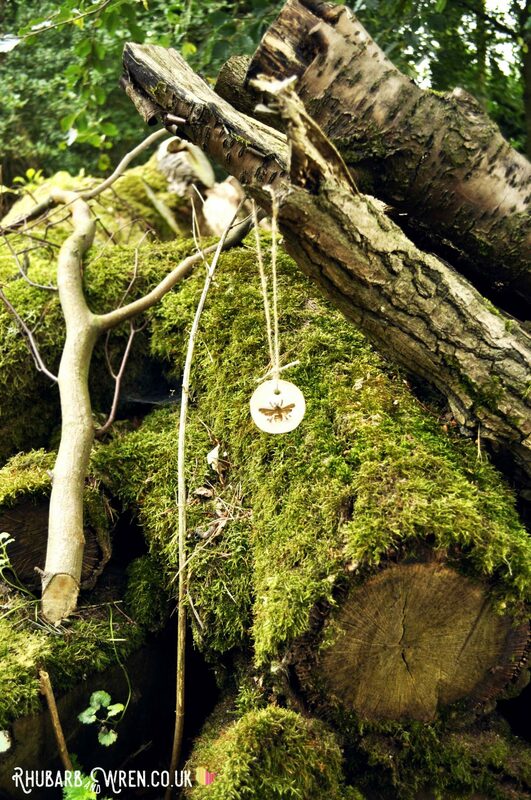 We haven’t done a woodland treasure hunt in a while but you’ve inspired me. 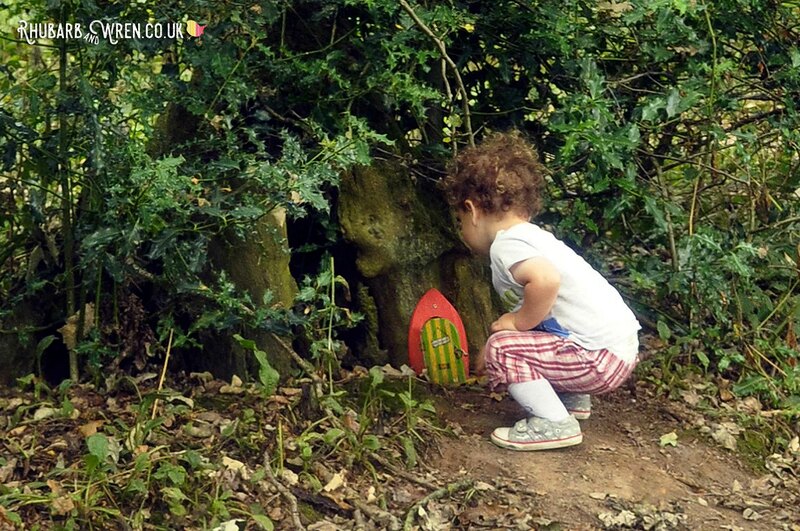 Go for it – it’s so easy to find hiding places in the woods that they’re perfect for this! 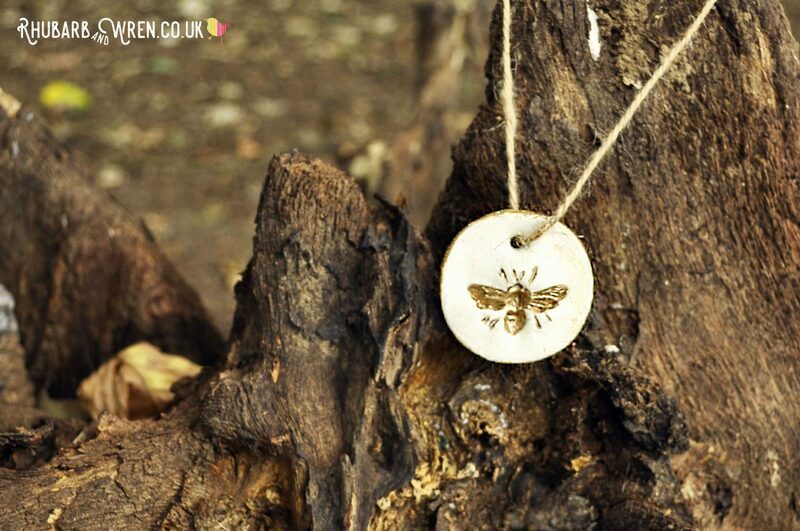 I just love your bees and this treasure hunt is such a great idea. The kids look like they are having so much fun! Thanks Amy – and they really did! We used to do some geocaching and bring the kids along. They loved looking everywhere and finding the treasure, but a bit sad to have to leave it there. So I’m sure your version will be great for them as they get to keep what they find! What a great Idea, I love the fact you painted them gold. I will have to give this a go soon! Treasure’s got to be gold, according to my kids! These pendants are so beautiful! We made something similar with bugs to create clay ‘fossils’. Those pendants are gorgeous! And a great way to make a nature walk fun and engaging. I’m saving this for later on! Thanks Emma – the kids were very happy with those bees!